With one week to go, the familiar voice of Sugita Tomokazu's Kyon narrates a promo for the anime adaptation of Puyo's The Disappearance of Nagato Yuki-chan manga. Get a look after the jump. Releases have been listed for the Blu-ray and DVD Limited Editions of The Disappearance of Nagato Yuki-chan of the TV anime, with both launching with 6 monthly releases starting June 26th. Limited edition include CDs with soundtrack, web radio digests and new audio dramas, as well as digipak cover art from manga author Puyo on the Blu-ray and anime character designer Ikuko Itoh on the DVD, post cards, 8 page booklets and cast/staff commentary. 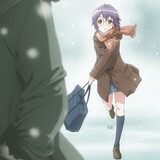 Minori Chihara Performs ED Song for "The Disappearance of Nagato Yuki-chan"
The official website for the upcoming Satelight-produced TV anime adaptation of Nagato Yuki-chan no Shoshitsu/The Disappearance of Nagato Yuki-chan manga has confirmed its ED song "Arigato, Daisuki" (Thank You, I Love You) is performed by Minori Chihara, the voice actress of Yuki Nagato. Check more information after the jump. 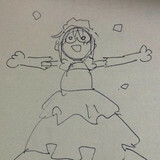 Welcome back to anime, Yuki and company! A new commercial previews their return in the Satelight-produced TV anime adaptation of Puyo's Nagato Yuki-chan no Shoshitsu/The Disappearance of Nagato Yuki-chan spin-off manga, scheduled to premiere on Tokyo MX and other stations at 25:40 on April 3 (JST). Check it out after the jump. With less than a month to go until the April 3rd debut of the Satelight-produced TV anime adaptation of Puyo's spinoff manga Nagato Yuki-chan no Shoshitsu/The Disappearance of Nagato Yuki-chan, a second visual has been unveiled. Get a look after the jump. 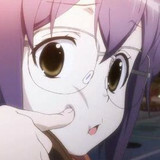 On the heels of the news that the upcoming Satelight-produced TV anime adaptation of Nagato Yuki-chan no Shoshitsu/The Disappearance of Nagato Yuki-chan manga has been scheduled to premiere on Tokyo MX and other stations at 25:40 on April 3 (JST), the series' site's character designs have been updated with gag faces! Get a look after the jump. 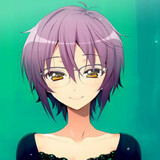 The official website for the upcoming Satelight-produced TV anime adaptation of Nagato Yuki-chan no Shoshitsu/The Disappearance of Nagato Yuki-chan manga has announced its premiere schedule. Check the latest information after the jump. 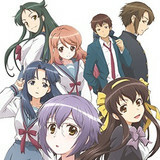 This spring sees an anime adaptation Puyo’s Haruhi spin-off manga series, The Disappearance of Nagato Yuki-chan, which starts off with a less aliens, ESPers and time travelers approach to the material, as an average girl Yuki tries to save her beleaguered literature club by recruiting Kyon. 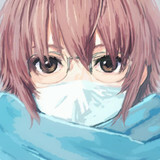 Along with the launch of the series' site and twitter account, the anime's character designs have been previewed. Get a look after the jump. 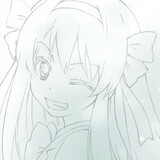 The official website and Twitter for the upcoming Satelight-produced TV anime adaptation of Nagato Yuki-chan no Shoshitsu/The Disappearance of Nagato Yuki-chan manga launched today. 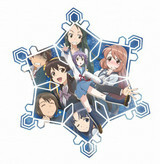 It is based on Puyo's official spin-off series of Nagaru Tanigawa's Haruhi Suzumiya light novel series. Check the latest information after the jump.